In work need of an innovative approach to labor protection questions, training and training of specialists at the Vladimir state university on the basis of statistical data of State Labour Inspection in the Vladimir region is considered. Keywords: labor protection, innovations, operational injuries, means of individual protection. Matveev M.V. Report on the activities of the State Labour Inspectorate in the Vladimir region in 12 months of 2011 // National Labour Inspectorate in the Vladimir region (site). 2012. URL: http://git33.rostrud.ru/results/. Zinoviev V.E. Report on the activities of the State Labour Inspectorate in Vladimir region for 12 months of 2010. // National Labour Inspectorate in the Vladimir region (site). 2011. URL: http://git33.rostrud.ru/results/. The new qualifying handbook for managers, professionals and other employees. – 2nd ed. – M: Publishing House of the Omega-L, 2005. 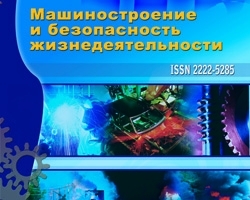 – 393 p.
Balandina E.A., Innovative approach to labor protection questions – the life requirement, №2 (12) 2012, Timokhin M.V.